We encounter an unforgettable cast of characters - old and new - including outraged chefs and exasperated aunts, disreputable politicians and gambling bankers, slushy debs and Cockney cabbies, sphinx-like tailors, and sylph-like spies. Ben Schott is the author of Schott's Original Miscellany and its four sequels, which have been translated into twenty-one languages; six volumes of the yearbook Schott's Almanac; and Schottenfreude. He divides his time between London and New York. I was very disappointed. 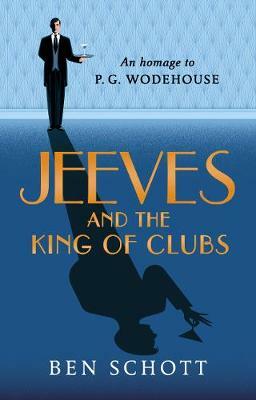 From the rave tone of many reviews, I expected a refreshing (and funny) reminder of Wodehouse's talent. But this is not Wodehouse's prose, the very essence of which is that it leads you along with sublime ease into sudden (often helpless) laughter. The author overloads the hero with oddities of expression in an excessive attempt to imitate Wodehouse, but makes the text feel awkward as a consequence. Genuine Wodehouse was never awkward.